Every application for a licence, permit, registration or MRA Pass, whether it be a new application or an application for renewal, shall be considered individually upon its merit. to grant or to refuse to grant or to renew or to refuse to renew licences or permits to Trainers, Assistant Trainers, Riders and other applicants for licences from the Association. to register or refuse to register and to renew or to refuse to renew the registration of owners and other applicants for registration with the Association. to grant or to refuse to grant and to renew or to refuse to renew MRA Passes to stable employees and other applicants for MRA Passes. The MRA passes are issued to Blacksmiths, Float Drivers, Stable Clerks, Syces and Valets. Every application for a MRA Pass, whether it be a new application or an application for renewal, shall be considered individually upon its merit. 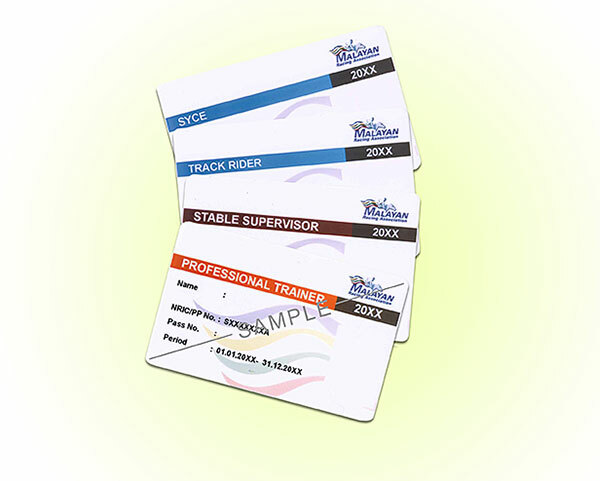 A fee shall be charged to the Trainer for each MRA Pass issued to his stable employees. The fees for the respective grades of staff are set out in the notice on Schedule of Fees. The fee for a replacement pass will be double that prescribed in the notice on Schedule of Fees. Must have no record of criminal or bookmaking offences. certification by the MRA Laboratory that no controlled drugs and prohibited substances have been detected in the urine sample submitted by him for testing at his own cost.